Halloween is a celebration that has been around for over 2,000 years in some way, shape or form. It has been twisted and turned, revamped and rediscovered in many different forms from the original times. Really, I am not opposed to any form of it for others who seem to love it. For me, it has nothing to do with morals, religion or anything other than the fact that I just don't care for it. It is not a holiday, per say. It started as a Celtic festival, where the Druids attempted to rid an area in Ireland of roaming ghosts. Bonfires were lit and costumes were worn in a rather superstitious celebration. The celebration over the thousand of years continued to change and began to evolve in the way that is close to the way it is today. This happened some time around the Victorian era. Children and parents became creative and used a wide variety of books to find the costume that their child wanted to dress as. I, for one, could truly care less if someone wanted to dress up as Snow White or a Ninja Turtle or Superman, just not something violent. I have nothing really against Halloween for those who wish to celebrate it. I just don't particularly care for it, especially when blood and guts are involved. In a prior life as an educator, I had to dress up or else look like an oddball with no costume when the whole school was in costume. I did manage to come up with a simple, yet clever costume as a gypsy. It simply meant long dangle earrings, lots of necklaces and bracelets and scarves tied around my long skirt to add tiers. Ta-da! I must say that I have been very fortunate in that I have never had friends who hosted a Halloween party, so I have not had to deal with that ever. Wait! I hope that is the case and that it was not that I was purposely overlooked? Of course, I would decline anyway, it would just be nice to at least be acknowledged. 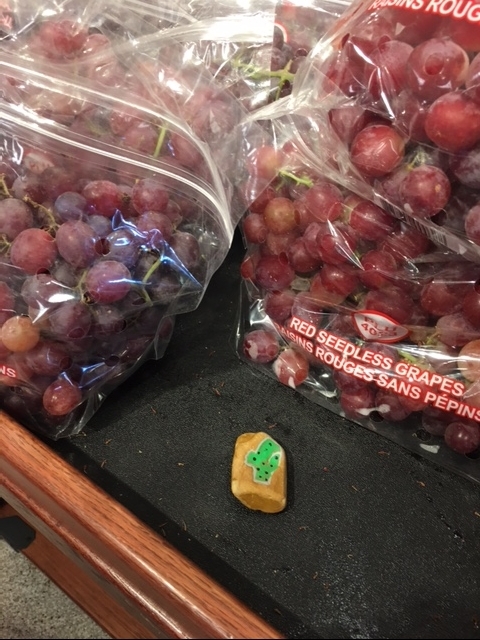 I guess you can't have your candy and eat it too? Having two children going through Halloween was challenging. I definitely did not want to impart my dislike of Halloween upon them. I began very early to make their costumes as fun and humorous as possible. Even though, when our daughter was only two years old, I took her to the neighbors we knew very well beside our house and the one across the street. She rather liked getting the big candy bar from the neighbor beside us, however, when the neighbor across the street answered the door dressed up as a witch, this child ran as fast as she could (still not even sure if her feet touched the ground) back to our house and did not want to go out again. We had to go over the little finger play rhyme of the Five Little Pumpkins, just to make it fun again. To me, Halloween has so many morbid and scary things associated with it. Ghouls, ghosts, blood, witches and the dead, along with scary movies is what I think of when Halloween is mentioned. Also, I would like to point out that we spend so much time teaching our children to NOT take candy from strangers, yet on Halloween we take them through the neighborhood to homes that we don't know to accept candy. Hmmmm! As a child, I do remember liking the bag full of candy that you receive when out trick or treating, as long as it meant that I did not have to go into someone's haunted house that they had decorated just for the little trick or treaters. This year is a double whammy, in my opinion. Have pity on all of the teachers today, October 31, 2016. First of all, with Halloween being on a Monday, most schools celebrated it with a Fun Friday party and dress up. You can put the apples out and the pumpkin bread, however, the sugar high stuff will be what is gobbled up and I may add gobbled up all weekend. So in their minds, it is over. THEN, today, the real deal day of Halloween comes and in most areas, the children will go out in their neighborhoods to trick or treat. So they came to school today on a sugar high from the weekend and will again tomorrow. In fact, the whole week they will be. If you question what I am saying, just go to any school at lunchtime and see what is in their lunchboxes. The only other thing that could be added to this to make it even more chaotic would be if it were a Full Moon. Luckily, it is not. Finally, I will leave you with this one question. Do you really believe that your pet loves to dress up for Halloween? My belief is that Halloween falls in to second least favorite celebration with the 4th of July holding first place for pets. There is a very good reason why we were given one mouth and two ears. We need to use them accordingly, meaning that we speak less and listen more. If you want to be understood, then you must understand the other side of the discussion. There are times when I have thought to myself that the person monopolizing the conversation really must think that he is the top dog expert, or he likes to hear himself talk or perhaps he is a nervous talker. Maybe all three reasons and even more could be thrown into the circle. Let's go back to our early school days. I was the one that the teacher was always saying to please stop talking. At parent/teacher conferences, my mother was always told that I was the chatterbox of the class. Never in a disrespectful way, just had self-control issues over my mouth. Actually, I was always trying to help others around me, more or less, being the 'mother hen.' Thankfully, I finally did grow out of this phase, realizing that I need to take care of my own business. Sometimes, a hard lesson to learn. There are some that never do grow out of it. Even if you think back on your school days, did you ever have a teacher such as Ferris Bueller did? There are terms for teachers such as the one in this film who repeatedly said, "Bueller? Bueller? Anyone? Anyone?" He had lulled the whole class to boredom with his monologue and very little dialogue. This kind of teacher is called the 'Sage on Stage.' They feel that they know it all, must share the information but not the stage. Don't get me wrong. A teacher from elementary all the way up through college must talk to get some specific knowledge out. The one thing they do need to do is to limit their talk time in order to give students time to digest what they have heard, question it and share with their peers. Having a more focused discussion is much more beneficial to the learners that the 'sit and get' methodology. There was a study that took place that stated in class a teacher sometimes asks 250 questions to the students 2 - 3 questions. I would imagine that this is on the extreme side, at least I hope that it is. Interesting enough, I did grow up to be a teacher. Without being truly coached in how I would impart information to my students, I believe that it came from my days as a student who was told over and over that she talked too much. I wanted to give my students the opportunities to talk and share what they know. It lets them know what they have to say is valued. Not only that, it teaches them how to leave the educational world and join the real world with a listen more, speak less attitude. In meetings with adults, how many times have you witnessed one person in a group monopolizing the discussion? He did not know about the power of listening. There was a time that I was asked to talk to an employee about how she contributed to the meeting we were attending and how she thought it could have been more productive. She seemed to take offense immediately. Finally, I had to get rather blunt and just ask if she had ever thought about listening more and speaking less. This did get her attention, and not in a positive way at first, however, when I turned it around and asked her how would she feel if no one listened to her? Letting her know that there is a golden rule of listening helped. This rule is to listen to others as you would like to be listened to, which means sometimes you can say more by talking less. Silence can be golden because your ears can still hear. Take it all in before you let it out. The ability to step back and listen demonstrates to others that you realize that you are a part of a greater world that exists outside of yourself. You actually become more selective in what you verbalize and then choose only your best ideas. Instead of listening for the point of time for you to enter the conversation and thinking of what you are going to say next, just listen. 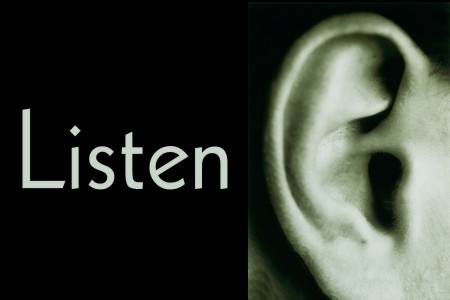 Stephen Covey states that most people do not listen with the intent to understand; they listen to reply. I find that sad, yet true. Think about going to a workshop, webinar or event to hear your favorite author, only to hear them tell the story that you have already read in their latest paper or book? Most of us have a limited supply of information to throw out to our listeners so we say the same thing over and over. Save yours for the right time so that you are not repeating yourself. The rule here is when you do speak, others will be much more engaged in listening to what you have to say. A favorite quote of mine is from Abraham Lincoln, "Better to remain silent and be thought a fool than to speak out and remove all doubt." By no means am I suggesting that you remain silent, just that you realize that it is easier to speak thoughtlessly, with insufficient information or by assuming the wrong ideas than it is to remain silent until you gather enough background information that you need to speak intelligently. 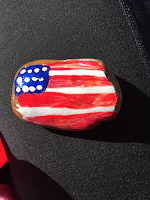 Back in April, I wrote a blog titled The English Language in which I pointed out that America and Britain are two nations divided by a common language. This has been posted as a quote from several different distinguished men, however, nowadays is more or less used as a paraphrase to state the obvious. It really doesn't matter if you use Oscar Wilde, George Bernard Shaw or Winston Churchill as the person inventing the quote. The saying is still as true as ever. That particular blog ended with a promise of a future blog on the same subject, basically because there are so many more differences in our not so common language. Trust me, as I live it every day and it helps to put a smile on my face and love in my heart, more and more. Being married to a Brit, I can assure you that it is only technically that we speak the same language. Sometimes, I just want to say, "What the hell are the British speaking?" Especially when they are talking to one another or we have the 'telly' on with British broadcasters. They may as well be speaking Spanish, where I can at least pick out a word here and there, yet somehow miss the point of what is being spoken. Then there are just words used that could easily be misunderstood or simply get a, "What did you say? or What does that mean?" Truly, the list goes on and on. Sometimes, I can figure out what the word means simply by the context. Then there are times that I haven't a clue or must either make a wild guess or come right out and ask. 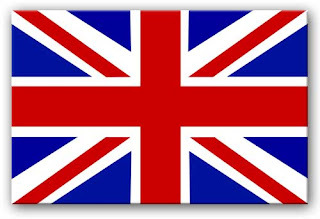 In my opinion, I think the British get a kick out of an American having to ask what the "proper English" word or phrase means. Whenever traveling in England in a car, many times I just close my eyes. Just having everything on the wrong side of the road blows my mind (and this includes trying to cross a busy street because we are used to looking left before crossing - this does NOT work in England). Have you ever experienced a traffic term called a roundabout? Cars are coming at you from every direction, yet somehow there is some unspoken law of order on who goes first, who has the right away and it all works out one way or another. Staying with the differences of America and Britain, the famous black taxicabs of London will give your blood pressure a rise. They are way over the top of even New York cabbies, although to me, both keep talking and I am not understanding a word that they say. An experience that I shall never forget, and would need a glass or two of wine to try it again. Let's just walk. Understanding our different languages can be difficult and even if we do there still is a natural barrier that keeps our nations apart. Eddie Izzard observed, "America and Britain are divided by the Atlantic Ocean." And, yes we are. Americans perplex the British with their communication just as much. For a Brit to hear us say, "Can I get...... instead of May I have..." is the time that they see us as more crass. In the business world if an American says, "Let's table that issue" he means to put it aside to rest for a while. This has a total different meaning to the British world. It means what it says...bring it to the table for discussion. This is why there are actual communication coaches that companies can hire that will help in the business world to not make such faux pas. Besides phrases and words, there is also a distinct pronunciation difference in some words, as well as the spelling. My dear, precious husband was taking a graduate business course and asked me to edit his paper. I knew that the topic was not something I could say this is right or wrong, I simply was looking for grammar and spelling. His paper looked like a bloody war had taken place on it. He had British spellings and I thought he was just a very bad speller, as I corrected them. His computer was British so that it only spelled out in British terms and spell check would not correct what was already correct. We laughed over this as we changed it to the American way, since his professor was American. By the way, he did receive an A+ on this paper of his. And, I helped. 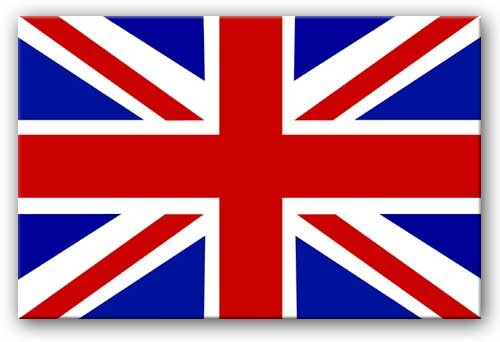 As far as I am concerned, so many Americans are anglophiles that all is okay with this complicated language barrier. We all need to be this accepting of all cultures and embrace our differences and learn from them. A quote from Stephen Covey sums it all up, "Strength lies in differences not in similarities." Customer service and telemarketing services are two major pet peeves of mine. I would be willing to bet that I have many who would jump on this bandwagon along with me. How many times have I been interrupted in an important task by the phone ringing and it happens to be a telemarketer trying to sell me something, survey me or scam me? It seems like it is happening more and more often. Some days must be "the day" that most of them feel it is better to call than others. It can be the land line or my cell phone. Better yet, when they both ring at the same time? What is going on in telemarketing land? There are some ways to handle the problem, for the most part; at least to help decrease the amount of calls that you may be receiving. Yes, there are the obvious ways, which would be to not answer or to block that number after you don't answer. There also are some creative ways to stop them in their tracks and I must say if you have a weird sense of humor, such as I do, it can make you chuckle. I have answered our home line when the caller asked to speak to Steve, my husband. I said, "Speaking." The caller said that he was sorry, he mistook my voice as being feminine on the bad phone connection that we apparently have. Then, very calmly I explained that I used to be a male but that I did the Bruce Jenner operation so now he is speaking to Stephanie. WOW! CLICK! Just like that, the caller could not get off fast enough. There is another fun way to play with their minds when you have a few moments or two. My husband answered the phone and was asked if I could come to the phone. He started telling the caller that he wished that I were home to come to the phone. It was too bad that I was out with one of my boyfriends and he had no idea where I was, when I would be home and even if I would be home that night. This time, instead of a click, there was silence before this poor man started feeling so sorry for my husband, and he said to him that he felt for him and wished he could help. They carried on this conversation for a few more minutes. I had to get up and leave the room to keep from laughing too loudly. My favorite method is the quick and easy (at least so far it has been) just come right out with the question before they get started and ask them what is the name of their company again because we are on the Federal Trade Commission Do Not Call List and we must report them. A loud click will follow, usually before you can get all of those words out of your mouth. The ONLY time these methods would not work is if it is the RoboCall. The thing to do when it is not a real live person is to just hang up as soon as you realize it is a recording so that you can block that number. What really is frustrating is when it becomes the RoboScam Call. We've all gotten them. It is a recording saying that you will be arrested if you do not pay up to the IRS immediately or the ever famous one about Microsoft telling you that your computer is infected with a virus and you need to press 3 in order to be instructed on how to get rid of it. A live person then comes on the phone line. My husband followed it through once just because he was feeling devilish at the time. He told the caller that yes he was on his computer, and he was clicking what he was told to click. This went on for about 5 minutes and then he told the caller that he must believe the S on the front of his shirt meant Stupid, however, he did not have his computer on and he just wasted his scam time with someone else. We have not received another call from them to date. Way to go! The saying that if it sounds too good to be true, it is! That is what I have nicknamed the recorded messages of, "You have just won a three night cruise or a stay at the Marriott. All you need to do is press two on your phone." Right! Now most of these telemarketing callers I can understand just fine. Let's move on now to major companies' customer service. With what I have experienced and others have told me that they have experienced, I do not understand why a major company would outsource workers here in the US and go overseas. I do understand that it costs less and I am aware of cost effectiveness. What I do not understand is the customer service representatives' communication with me. Most of the time, I must ask them to repeat what has been told to me. I will say that they seem to be trained to remain calm, however, it is me not remaining calm when I can't understand what I am suppose to do in order to get my Dell back up and running. So I am sure that I am as frustrating to them as they are to me. Let me also say at this time, that the representative does not need to answer the phone by saying, "Hello, my name is Bob." His name is no more Bob than mine is Madonna. 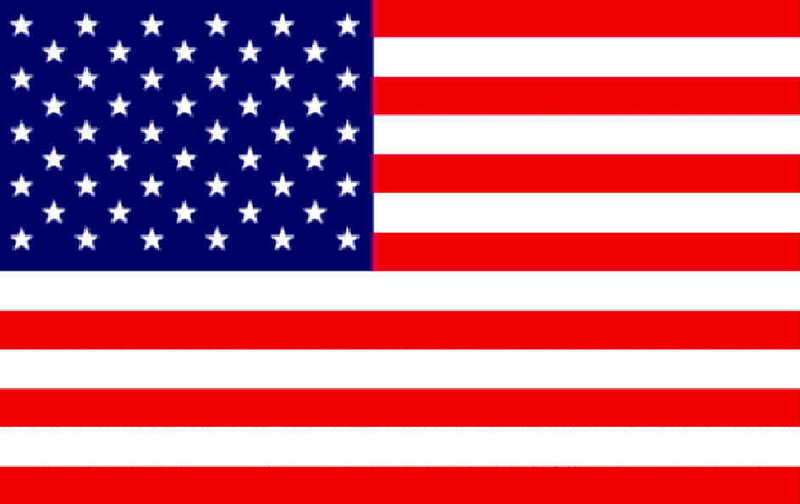 Perhaps it would not hurt to have the corporations send out trainers to help in translating the American culture and possibly to work on accent neutralization in order to make for happier customers when they are dealing with a problem that requires customer service. It is very important to be globally aware of differences and to integrate our knowledge and cultures. What we don't need is poorly trained professionals pretending to be something that they are not. Now that I am a writer, I get it. Many writers get out of their own writing space at their home for a touch of the real world. As a writer, I even do this for myself about once a week. Rarely is it uneventful, whether I want it to be or not. I say, whether I want it to be or not, my little secret is, I crave the distractions at times. When I don't need to be distracted or if it becomes too annoying, I always have my own set of headphones to put on in order to have the golden sound of silence. After doing this for a number of months now, I even have nicknamed some of the characters that come in to work where I have set up my own space. They probably have nicknamed me also, and that is fine with me. It is all a part of working in a social place, such as Starbucks. As a writer, we are very lucky in that we can write almost anywhere. It can be in a plane, on a train, at a bus stop, in our home, on the beach, or in a coffee shop, such as Starbucks. There are those who prefer 'local' coffee shops vs the chain brand, which is all good, unless you are in need of Wi-Fi and 'locals' sometimes don't have it. So writers tend to pick the most comfortable place for themselves that meet all of their needs. With that being said, let's talk about etiquette while you are inside someone's establishment. Remember, you do not own it. Be comfortable without taking up too much space. A courteous attitude toward the baristas is very helpful. If you are taking up space, using their Wi-Fi, it would also make them happy if you purchased more than one cup of coffee, even if it was a bottle of water or a muffin. Just common courtesy, really. I have witnessed for myself someone who came in, asked for an empty cup just to go to the water fountain to fill it up several times. I am not sure how much longer this person stayed once I left, but that is just rude. To never purchase just one item? If they were a starving freelance writer, they could have at least brought a cup from their home. There are other ways that rudeness raises its ugly head. Perhaps it is due to the caffeine-junkies all around or the coffee-infused aromas drifting in the air. There are those who come in and put on headphones to carry on a telephone conversation with someone (or perhaps it is a made up person?) about what they are writing in a voice that carries throughout the whole coffee shop. They are so full of themselves and so high on their own self importance that I must restrain myself from going over to their laptop and pulling the cord from the wall and the headphones off their ears. Then again, sanity sets in and I realize it is not worth getting arrested over and going to jail. In fact, it can be a humorous distraction. These 'good ole boys' are drinking their coffee (not their whiskey and rye) and I really don't know if they are singin' this'll be the day that I die or not. I only know that there are times I am a' wishin' it for them. Maybe a person behind me really was on a call with someone where he was explaining how he had the program developed to improve the FireStick and Amazon Echo, as well as some other high tech devices. If this were true, then everyone else in the shop would be able to go with his ideas, because he was loudly explaining how it would all work. I have nicknamed him (and others like him) Mr. Self-Importance. He needs the world to know just how important he is. I always have believed that if you must tell others how important that you are than you probably are about as important as one tiny grain of sand. There are also some writers, that I have tagged "The Eager Beavers" who come in, set up, get coffee and all of a sudden their fingers are typing as if they were on fire. I always laugh to myself just thinking what could their brains be producing at that speed for their fingers to be typing that quickly? Will it be worth the paper that it will be printed on? I am rather doubting it. Then again, all the world is not a critic! Ms. Pretentious is also a frequent writer who comes in to work. She is one that is quite amusing to watch. She smugly looks off into space, as if she has such deep thoughts whirling around in her head, much too deep for some of us in the shop to even try to pretend to understand. Then, every once in a while, one eyebrow will raise and her fingers head to her keyboard and she types what might be a sentence. One thought at a time. The wheels on her bus might not go all the way around, it is just that she wants everyone to think that they do. This is not the only kind of arrogance that you can witness first hand. Let me ask you to think if you would want to be interviewed for a job in a Starbucks with every table around you hearing the questions and answers. Also, what kind of job could this be? If there is no particular office space, I suppose this is a safer environment than at a home to carry on an interview. From what I have overheard, and let me say that I am not eavesdropping, most seem to be jobs that you can work from your home. The volume of these strangers is loud enough for anyone to hear, and that is even with the barista using the blenders, the whirrers, and the frothers. Add in the loudly piped Spotify music playing. Truly not a conducive place to work effectively if you suffer from ADD. One particular Starbucks that I visit has a small lounge area, with deep comfy sofas and chairs, along with a coffee table and end tables. If I get there early enough on a day where these obviously retired gentlemen can't play golf due to bad weather, they are all seated around carrying on multiple conversations. Some of them are louder than others. They would be the ones who feel that the world needs to know their take on how things should really be, including the upcoming election and who to vote for, as well as why. Truly, I do wish this election would be over, however, I know in my heart that they will find the next topic to have differences about and will be more than happy to share it. Now you know all about my secret rendezous that I have usually on Mondays. I even get ideas for some blogs and my novel while in there. It must have something to do with the the coffee aromas swirling around because as I see it...everything gets better with coffee, including Mondays! Throughout my life, I have had the good fortune of living in different parts of the country. Born in San Antonio, school years in Memphis and Oxford, MS, then on to Pennsylvania, Houston and finally back in Memphis. 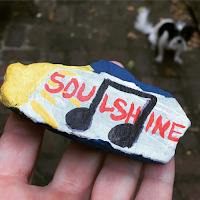 I am here to say that there was a community spirit in all areas where I have lived, however, there is something very magical about the people in Memphis.It is a quiet, yet overwhelming "southern thing," that I have not picked up on, even in other southern cities. 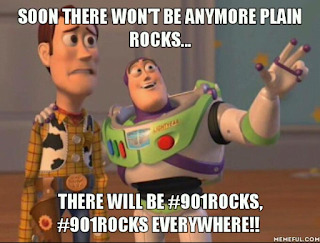 With that said, let's get on with my blog (901, by the way, is the area code for Memphis). Memphis loves its heritage. There is even a celebration on September 1 (901). They can make a reason to celebrate when others would not even think twice about it. Call it the culture, the climate, the human spirit, you pick your own word. It is here. A celebration always going on is a good way to look at it. Sometimes you are in the right place at the right time. Your path crosses with another's that will help to make you a better person for it. For me, a number of years ago I met a very special woman. She had a smile on her face for everyone, as well as a humorous outlook on life. Amy McSpadden took this outlook and ran with it; an idea that has taken Memphis by storm. As soon as I read about it on FaceBook, I wanted to be a part of it. Amy is a very creative soul, an artist who loves bringing her community together. The ideas that Amy, along with her friend, Lisa Dawson, the founder of this project, continued to grow as they worked together to make it all happen. They are true believers in Memphis and love the good things that are going on in our city. 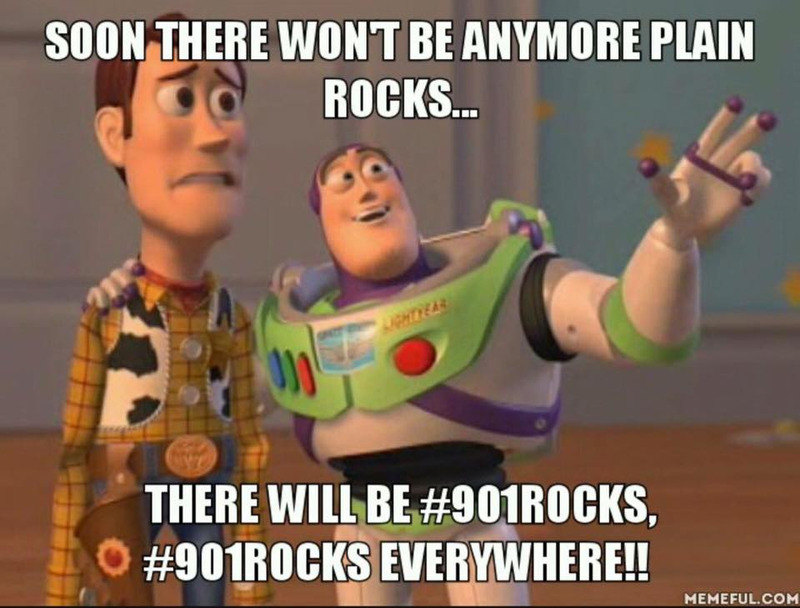 The expression, "901 Rocks" came to be. 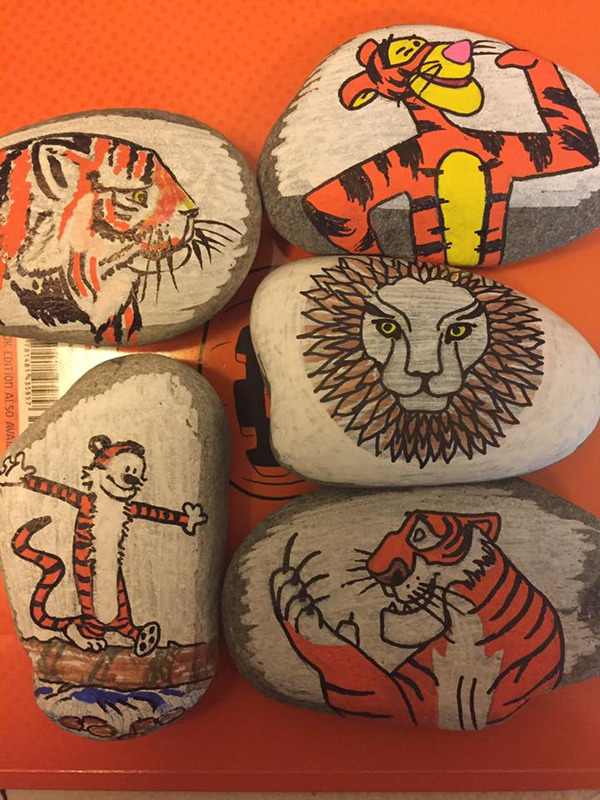 They started to paint rocks with '901 Rocks' painted on them, as well as characters. Then the idea was to hide them and let others find them as a treasure. They had a 'Closed Group' on FaceBook that started as 4 and grew by leaps and bounds daily. Now the number of members in the group is over 32,000. 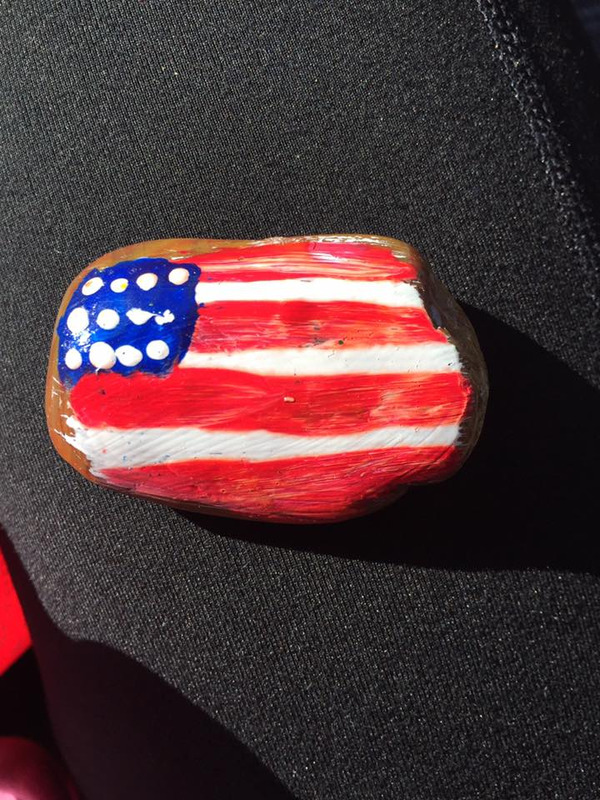 Members would take a picture of their rocks and give a clue about where they may be taking them to hide. Others would take pictures of the smiling faces of those who found them and tell where and how they found them. 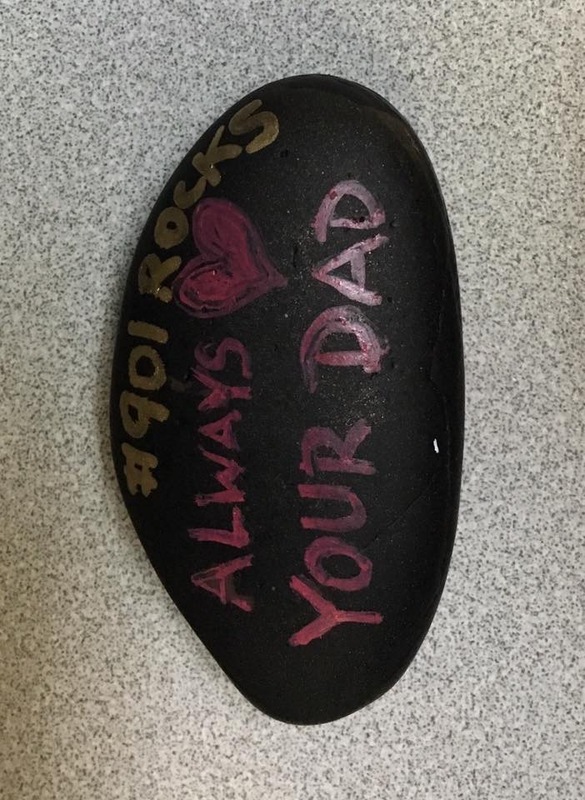 Most of the time, the finder would post where they wanted to re-hide the rocks so that others could share in the joy. 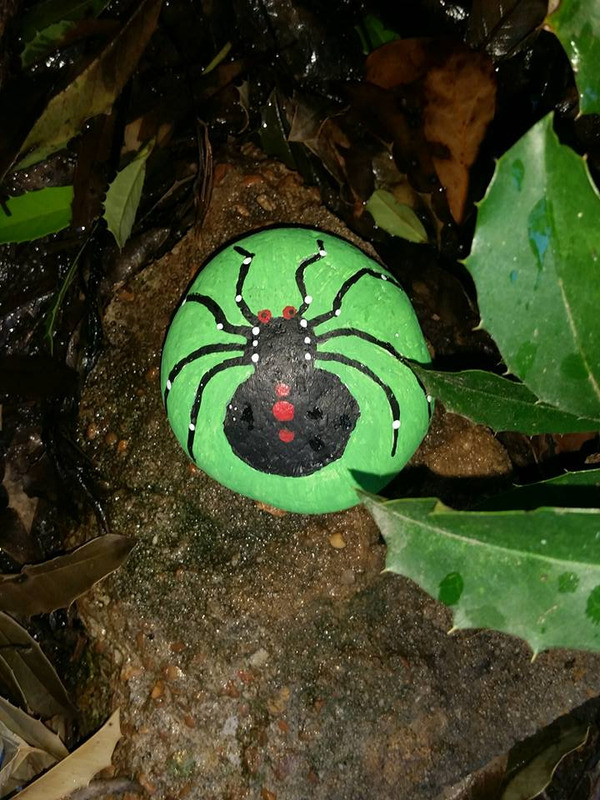 Members have posted that as much fun as they had in finding the rocks, it is even more fun to hide the rocks and scroll the FaceBook page to see if anyone had found what they hid. Who knew something so simple could take off like this? 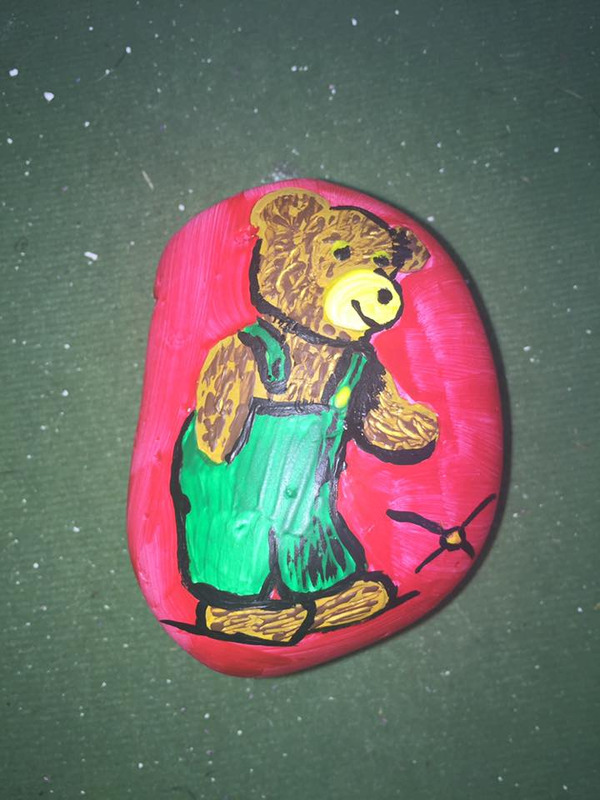 I have not even mentioned the happiness that it brings the person painting the rocks. It is an all around fantastic experience. 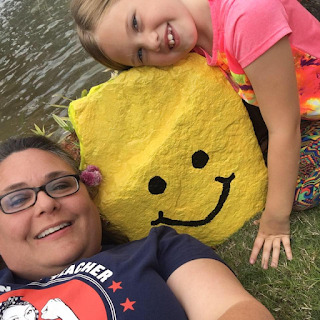 Amy and Lisa have been featured in the local papers, as well as on local news programs. Their enthusiasm is contagious. 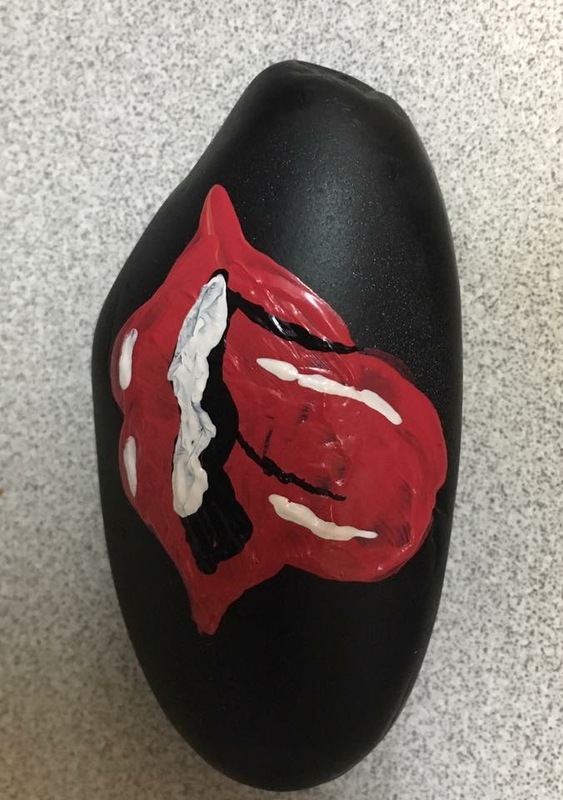 Members write in asking what kind of paint is the best, what kind of gloss do you use, how do you get the lines thin? Some of the rocks are very detailed and then some are much more primitive, such as mine. 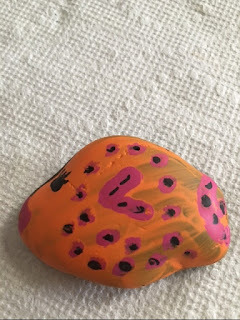 I loved the fact that my granddaughter found some of the rocks that I painted and loves them. She calls them her pet rocks. Truly, I was quite proud of my rocks. 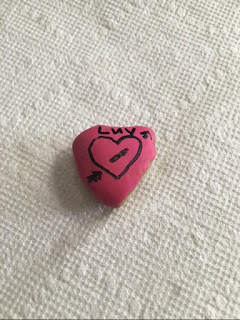 She wanted the fish and the heart rock, and left the one that I did to be Oscar. 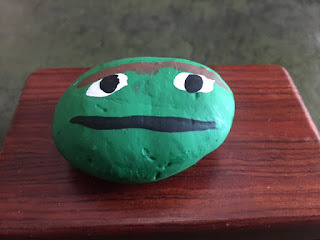 I thought it looked a lot like Oscar, the Grouch. She thought it was a Teenage Mutant Ninja Turtle. Oh well! Each person sees art in a different light. Who am I to say? She is four years old and has a lot more imagination than I could hope for. There actually was a member of the group who asked for a pen pal from Memphis so that she could paint rocks and send them to her pen pal to hide. One other aspect that is coming to light is that there are other cities who are picking up on this with their own area code to help rally around their city. It is contagious and spreading like wildfire. 901 has lots of SoulShine! STAX is here, after all! 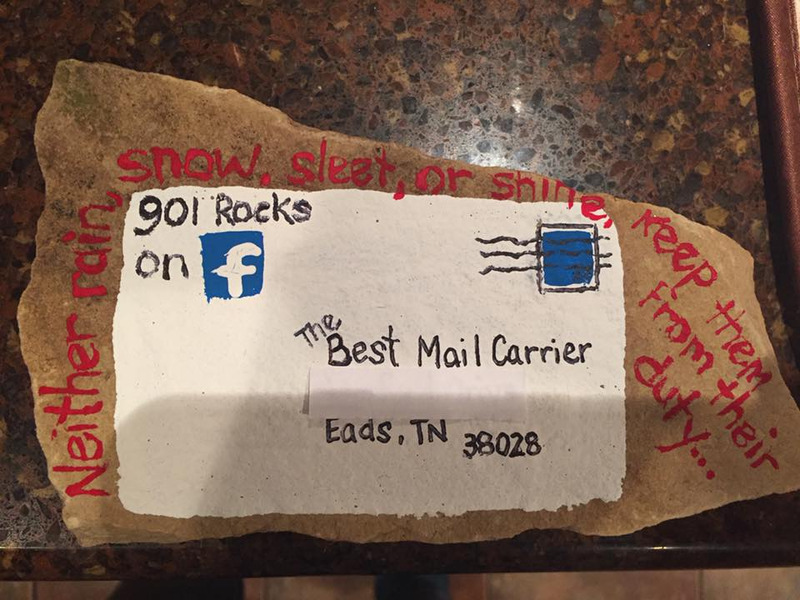 These are from someone who wants a 901 pen pal. Look at the detail on Corduroy, The Bear! 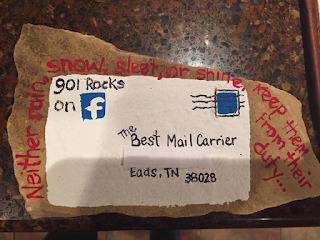 A surprise for her mail carrier! 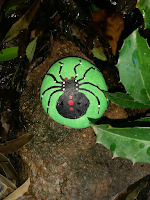 Did you read my blog on Arachnophobia? This is the rock that I found, never expecting to find a rock. 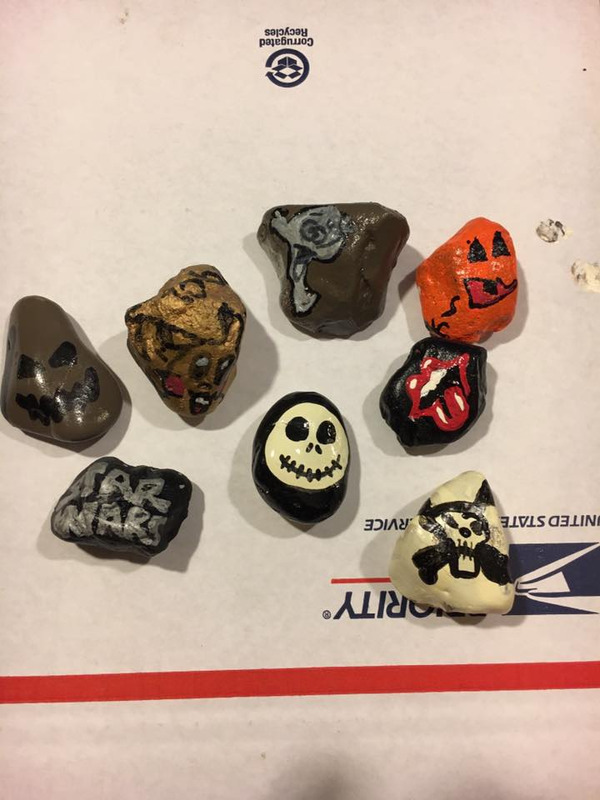 Grown ups or kids find and hide rocks. No age limit! I had so much fun posting this picture of the clue of where I re-hid the rock. 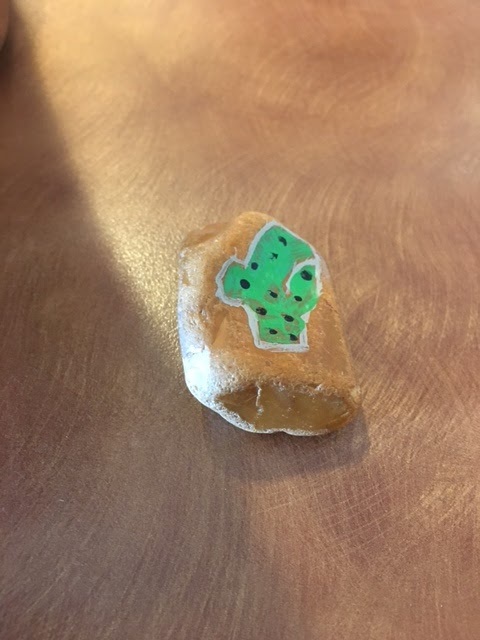 I did post that I found the rock at a restaurant and was re-hiding it in a large store in the same shopping complex. The examples of painted rocks and the stories that go with them simply warm my soul. Memphis has so much to offer. We should be proud and spread our wealth around the country. Why stop there? Spread it around the world! Let's not be selfish. Against the odds, that many would have us believe, there is so much positivity and hope in this world, let us never forget it. Let us always be a part of it. We are all in this together. We are lucky to be Walking in Memphis! Have you ever found yourself in that frame of mind? No real crisis or specific event that put you in that place, necessarily. You just find yourself there and if you are like me, you don't want to waste time figuring out why. You just want to bounce back. Wallowing is not my style. Also, I am fairly sure that I did not do anything to the universe to upset it. I just know that I am in need of a pep to my step. I have taken notice as to what helps me move forward. You may have more ways of your own. Feel free to add them in the comments at the end of this blog. I have discovered there is not one particular way to bounce back. Experiment! In fact, I believe just the variety alone helps me get "it" back. Most important of all is that you MUST realize that you are down in your mo-jo and in desperate need of something to get your bouncebackability in gear. Take your cape off and just admit it so that you can move on. Try to think back to your sleep and diet routine. Are you getting enough sleep? Would an afternoon nap help to bring you back to the real you? Do you need to adjust your going to bed time or waking up time? Thinking of what you have been eating or drinking could be an answer, too. Low blood sugar, too many carbs or too much alcohol could be bringing in the low energy level. Definitely, something to keep an eye on each day. Staying as consistent as possible in sleep and diet is very important. Movement for up to ten minutes every hour a day is essential, especially for those of us who have sedentary jobs. This can be a brief walk, dancing to some of your favorite music, or even some yoga moves. This needs to take place a few times throughout the day to be effective. One ten minute act of motion will not give you the bouncebackability that you are needing. Just as in the TV show Do You Want To Be a Millionaire, you can call a friend. Always good to just chat or get another view on things. Journaling is a very essential part of my day. I get to write what I am feeling out on paper. Nothing held back. In fact, I do find that this helps me NOT have that many bouncebackability days. You keep your feeling out there and claim them. Take ownership. Creativity in any form is a grand way to help bounce back. Painting does not have to be a formal act with formal training. Paint from your soul. Simple lines and forms, using colors that please you, or making a small garden or sculpture. 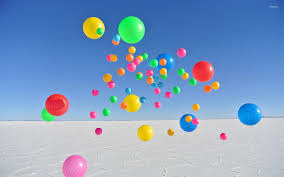 Do something that you know you are capable of and that will push you along the path of the bouncing ball. If you have read other blogs from me, then you could have guessed that sooner or later yoga and/or meditation was going to find a way to come into play. Just give yourself some quiet time, time to reflect and then time to clear your head of all thoughts. Yoga can count towards the ten minutes of movement. Two for the price of one! Don't you love bargains? Have you ever given yourself a bouquet? It could come from your own garden or go to the florist and get your favorite flowers to place in view of your workspace to enjoy. It says that you are important. You mean something! And yes, of course, YOU DO! A most wonderful thing to experience is to take a bubble bath just because you can. Perhaps not every time that you do this, but I highly suggest that you try it at least once with a glass of champagne and then tell me that you don't feel like you could bounce your way out of anything! Perhaps, you do not get enough time to read. To read not so much for information, just to read for enjoyment, such as the kind of book that will remove you from reality and let your imagination flow, taking you to imaginary places. Take yourself off the work site and visit a museum. This will put a whole new perspective on life. Maybe, this is taking too much time away, so go ahead and just google some and plan a trip somewhere like a museum. The planning process alone is known to be restorative. Here, on this page are thirteen ways that I use to help get my 'Bouncebackability' in check. Truly, I could name more, so maybe a future blog with other ways mentioned will be up and coming, so I repeat...please, if you have something that helps you, just click on comments at the end of this blog and share with me. Follow the bouncing ball! British Humour - An Oxymoron? It is a fact, that my American biological son is the one who introduced me to British humour, long before I had met and married my British husband and then had a British son added in to the family. He was barely in high school and asked me to watch a Monty Python movie with him. Monty Python and the Holy Grail was the movie and I must say that he was in hysterics laughing at the lines in the movie. I sat in quiet, profound stillness, just trying to understand what was so funny. This is where the oxymoron comes in to play and does it ever come flooding towards me in so many ways. Even though, it has now been going on fifteen years, I will admit that so many times my dear, sweet husband must explain one of his jokes to me. I would guess it to be about 75% of the time, although he probably would disagree and say closer to 90% of the time. Sometimes there is just a gray area that I have chosen to ignore. It is not that it went over my head, I just let it go in one ear and out the other because it was so not funny. There are those times that I just have to laugh out loud because I actually did get it, to the point of exactly just how bad the joke or pun really was. While looking up some research on British humour, I found loads of information. One article that was not credited to any particular person started off by stating that the article may be Overly British. Americans may not understand humour, only humor. Canadians and Australians may not understand anything at all. (not my words, just a messenger) To explain this statement, the writer of this article mentioned that Americans obviously watched too many episodes of Friends and therefore can't appreciate humour. It was also noted that Americans need to have background canned laughter to know when to laugh and what was funny. Let me just add that the background canned laughter has always driven me crazy. I do not need to be told when to laugh and what is funny, however, some TV producer or director obviously felt differently. A perfect example of British humour is in a Monty Python sketch of " the dead Norwegian parrot." The audience is laughing hysterically. I am simply looking to my left and to my right and trying to guess what is so funny. Maybe it is all me. Brits are known to have wit in their humour. Perhaps I am not witty enough to get it? I am still stuck on trying to figure out if Norway would have parrots, dead or alive? Besides wit and irony, the Brits also use quite a bit of sarcasm and self-deprecation. They usually find humour in everything and everyone, even themselves. 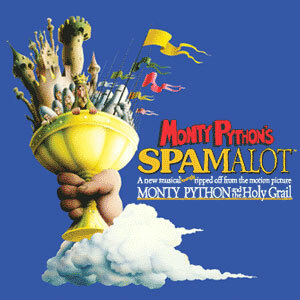 Be sure to YouTube some of these sketches of the dead parrot, Monty Python, Spamalot or even the silly walk if you are not familiar with what is funny in a British sort of way. Another tradition that I have been introduced to are Christmas crackers. These are nothing to eat, instead, they are wrapped up paper that reminds you of a large firecracker that you pull apart and they pop loudly with all kinds of gizmos popping out. One will always be a paper crown that everyone puts on their heads so that at the Christmas dinner table so that all can look ridiculous together. There will be little token toys and a riddle or a pun on a small sheet of paper that are really awful. Such as, "Where do fish wash? In the river basin." Or how about, "What do you get if you cross a sheep with a kangaroo? A wooly jumper!" It worked on me even though a jumper in the US is a sleeveless dress worn with a blouse. However, in the UK it is a sweater vest. Once I discovered that there are basically five types of British humour, along with being able to cite an example, I was able to understand a little more about this strange kind of humour. Understating - such as when someone deliberately makes something to be be less significant than it really is as when someone saying, "It is a bit windy today, isn't it?" When obviously it is more like a raging tornado outside. Important to note that this must be done in deadpan humour style. There must not be a flashing red neon sign stating, "This is a joke," because you must read between the lines. Sarcasm and Irony - a perfect example would be telling a friend that he now does not have to worry about fixing the puncture in his bike's tire because his bike just fell into the pond. Again, there is a deadpan style to delivering this kind of humour. One last item to note is that in the UK, there are certain geographical areas that are known to have more humour than others. Apparently a sociologist, Dr. Rod Martin, gathered up a research team from Ontario and discovered not only this supposed factoid, but also did believe that Americans totally understood irony. The truth of the matter is that the level of wit and sophistication of sit- coms such as Friends demonstrates America as being clever. In this study, he claimed that Brits are all about being silly with silly people, yet in a witty way. Americans are all about being clever without the silliness. This was duly noted when the team made reference to the differences between the way Britain's The Office was portrayed by Ricky Gervais which had quite a bit of wince-inducing lines thrown in the TV show versus the way that Steve Carell portrayed the character with his lines. alcohol consumed there. Cornwall follows closely. Let's just say the standing joke is the twisted tourism slogan, "Come to Cornwall where Bob's your Uncle, AND your Dad!" On that note, Scotland is considered to be the least funny part of the country, as the people there are scary and no one wants to fight them, plus their accent is so scary no one can understand them anyway. It was noted that here are places that everyone can make fun of including Liverpool, Burnley, Cumbria, Birmingham, Dudley, Milton Keynes, France and America. All of this seems extremely complicated to this American. When this was proposed to the "research team" their response was that it all boils down to genetics or the water in the UK. It is an unstudied fact that in theory the British people have ended up with more of the fundamental particles of humour than other nationalities based on the hypothesis of the fluorine added to the water in 1924 to help with dental care. This was because every single dentist in the country had been killed in the First World War. There are many things that you must admire about British humour. Definitely, it teaches you not to take yourself too seriously, along with making light of tough situations. In my opinion, we need to lighten up and stop believing that we are entitled to what we have not earned. British humour delves right into all of the above. Also, on that note, it is okay that different nationalities do not get all of each other's humour/humor. It does not make anyone less intelligent or witty. Just be yourself. Give it up and laugh a lot! It is so good for your soul! There are times that I nonchalantly throw out a question to someone, really not anticipating a deeply researched response, more for conversation and in return get a totally unexpected answer. Examples: 'So, do you think this cold front is coming on in tonight?' RESPONSE: 'THEY say it is to blow in at midnight.' 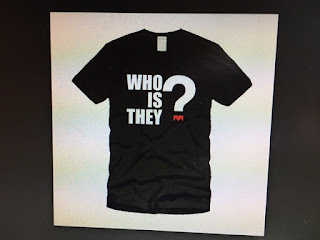 Who is 'THEY?' Or a work related question about a project and being told that 'THEY want it completed a certain way by a certain date.' Who is 'THEY?' Maybe I need to ask a real live human being the question so I really need a specific name. 'THEY' is not found in my list of contacts. By using 'THEY', we are giving someone the edge of being the boss, the know it all. 'THEY' seem to be the most powerful organization in the world. 'THEY' are everywhere. And in this election time, oh my, let's not even get into that too deeply. I have read, as I am sure that you have too, some pretty wild claims of one candidate against the other, coming from both sides, of 'THEY' did this or this, with no founding evidence. Simply because someone named 'THEY' said it was true, it gets plastered in the news. Believe me, the candidates do enough on their own that can be proven, and do not need any help from all of the 'THEYS' of the world. Many times, I just want to throw up my hands and ask a usually intelligent friend if he/she truly believes what 'THEY' say about the candidates particular stance on a specific topic and what proof do they have or where was it sourced? This is where the rumors start and the nastiness seeps in to the news. 'THEY' are everywhere. And 'WE' need to stop them when we can. Spiders and I have never been the best of friends. In fact, even as I am writing this blog, there is one SuperHero that I am most definitely not a fan of, and that would be Spiderman. Let me say, that I now have a precious granddaughter who is all caught up in the frenzy of Spiderman and even wants to be a "pretty Spidergirl" for Halloween. That is an oxymoron. Bless her sweet soul! I just try to avoid the subject because I do not want to put my fears in her, even though I believe my fears to be quite justified. This fear of spiders even carried over long before I even knew there was a Spiderman. There is a nursery rhyme about The Itsy Bitsy Spider. 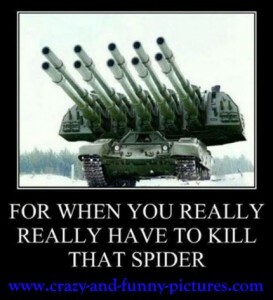 Quite frankly, I would be happy to see the rain just drown that spider. Why stop at washing him out of the water spout? Truly, I believe my fears to be quite justified, as I was bitten while minding my own business...sleeping in the middle of the night. So much for the good old saying of spiders won't bother you if you don't bother them. HA! When I woke up, there was a place on my forehead that was itching. I touched it and quickly ran to a mirror to see what the problem was. I had a large red welt that itched like crazy and hole puncture wounds in the middle of it all. I assumed these were the actual bite spots. Luckily, I was going to the doctor that afternoon for another reason, so I could get a medical opinion. Good for him to see it, just to let me know if I need to do anything special about it. He told me that Benadryl spray, gel, and tablets would work. In just a couple of days the anger of the bite went away, however, now, three months later, the scar of the bite is still there, slowly fading. Immediately, I called our pest control company out to spray. Also, he set up little sticky traps all around our home. Every once in a while a little spider was in one and a larger spider in another one. Nothing much, so I was beginning to stop with the irrational fear of closing my eyes at night to sleep. Then, we went away on our vacation for one week. When we returned all of the sticky traps were loaded with all kinds of spiders. One even looking like a brown recluse spider stuck in the glue. All dead, of course. When I see a spider, no matter how small, I just want him dead. Preferably, I would use the weapon at the top of this blog. Knowing that is impossible, if I want our home still standing, I usually take a shoe and smash the hell out of it. Then, there is no way of identifying what kind of spider I killed. At least it is dead. Another big problem is not so much seeing the spider, as it is the fact that the spider disappeared before I could kill it. My thought is that now it is off plotting my demise for a secret attack in my sleep. Besides smushing it with a shoe, one of the next best ways to kill it is to spray it with a can of hair spray. It may not die immediately, however, it will stop running because the hairspray freezes his 8 legs so no movement is possible; just like the hair on your head if you spray too much. I assure you that I have no problem using the whole can to freeze his legs, as well as to asphyxiate him. My rational thought process came up momentarily and I started asking myself, exactly what good are spiders? Oh my! I read that they are perfect pest control creatures. What? They are the pests. I am paying good money to get rid of these pests. A story came to my mind about someone that I worked with coming in with a totally swollen closed eye. It was a spider bite that caused it. She actually stood there to tell me that she did not kill spiders in her house because they get rid of other bugs. This left me speechless. Really? She was in misery and had to wear an eye patch over her eye for three weeks. This to me was as insane as another person telling me that she tried to catch the spiders in her house when she found them and took them outside so that they could live. Right...live to come right back in her home again. Let me pet you with my foot.